Minor spoilers in the Marvel section this week. New Avengers posters have been released pretty much every day this week, with one for each character (and a really ugly one for everyone). But the more interesting part is that Anthony Mackie’s name is at the bottom. Falcon confirmed for an appearance in Age of Ultron! On to another movie series from the 80’s with 2 good installments and 2 crappy sequels, Terminator Genisys is set to be the start of a trilogy, which we’ve known for a long time now (at one point Terminator Salvation was going to be, too). What’s now been confirmed is that Arnold will be returning for the sequels, filming next year for a 2017/2018 release. Still not excited for this but maybe they’ll actually get the trilogy off the ground this time. And the last 80’s sequel floating around, it’s now official that Harrison Ford will be returning to the world of Blade Runner. And on top of that, Ridley Scott has backed off as the director and handed the reins to Denis Villeneuve. Is this going to be a decent film, or yet another disappointment? I don’t have any experience with Villeneuve, so it’s hard to say if this is good news. Some movies aren’t getting unnecessary sequel films, though. Some are just getting unnecessary sequel TV series, like Minority Report. According to the latest news, it seems that the show will follow the other two precogs, the “twins” who didn’t feature heavily in the film. All three precogs are released at the end of the film, so with a 10 year gap, it seems one of them, Dash, is now left looking for a purpose in life. As a setup for a boring procedural, that sounds like exactly what I’d expect out of this. It’ll be just like all those other shows with psychics helping to solve crimes, like Tru Calling or Medium. I guess the only hope is that the futuristic setting is employed properly. Lastly, Chappie will be released next Friday. Still hearing mostly good things about it, so let’s hope that continues. That’s all for this week. 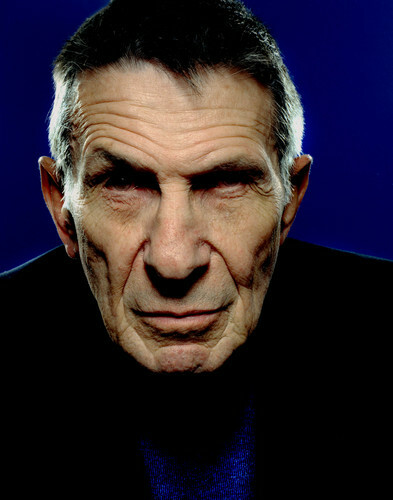 I’m gonna go back to being bummed about Nimoy.